Countless organizations are deploying digital workspace solutions to meet the demands of today’s mobile end users and the IT administrators that support them. The goal is to empower users to work from anywhere, on any device—mobile or laptop—at any time. However, architecting a secure, seamless, scalable digital workspace solution is not necessarily easy, which is where this paper helps. 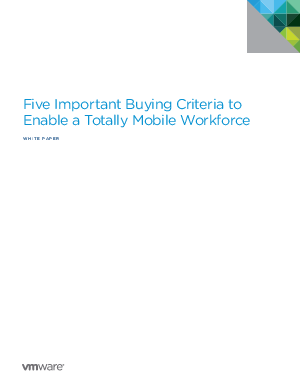 Download this white paper to see how to approach these major considerations, with detailed strategies, and provide recommendations for effectively addressing each one.